A county water management agency in Minnesota is forgoing clipboards, paper and pens that they once brought along on sampling trips, turning instead to iPads and mapping applications to send water quality measurements right from the boat to the web. The Carver County Water Management Organization conducts water quality monitoring and oversees development-related water rules throughout an area southwest of the Minneapolis-St. Paul Twin Cities region. 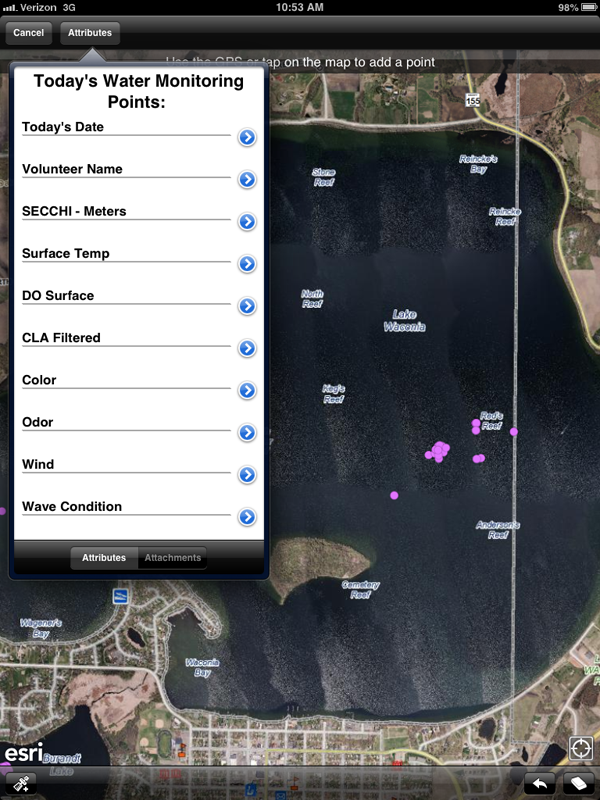 While on sampling trips to 14 lakes in 2013, crews measured parameters like dissolved oxygen and water temperature at the surface and immediately logged the data into ArcGIS Online, a free mapping application from ESRI. A code developed by the county’s GIS department harvests that data from ESRI’s servers and uploads it to a website where citizens can log on and see the most recent data. The move to paperless monitoring has a lot to do with the county’s progressive GIS department, Sawdey said. The water management office has a good working relationship with the GIS folks, who make sure that the scientists are working with state-of-the-art technology. Despite the technology and custom code involved, Sawdey said that their methods aren’t difficult to set up. That’s good news for other small agencies that are looking to reap the same benefits. Now that they’ve got the iPad and GIS applications up an running, the water management office is looking to use them wherever they can. They’re creating mapping layers to track stormwater best management practices throughout the county and helping crews identify whether the installations are filtering runoff and cultivating vegetation. Sawdey said that going paperless has made sampling more efficient, the data easier to organize, and the department better at disseminating information to the public. The only slight drawback might be the possibility of losing the tablet over the side of the boat.